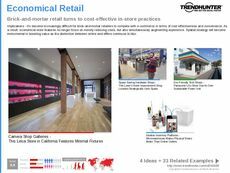 Find Better Ideas, Faster ® with a custom brick-and-mortar retail trend report, our PRO Dashboard and 80+ categories of premium trend reports. 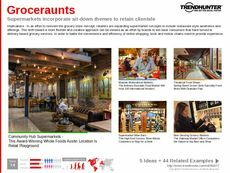 Trend Hunter's Brick-And-Mortar Retail Trend Report explores new methods of rethinking the traditional in-store experience for a new generation of consumers. 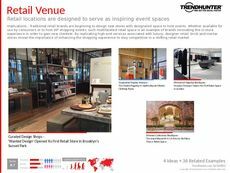 Our in-depth findings look at new store displays, decor examples, interactive technologies and luxury services that have revitalized the brick-and-mortar store during an era where online e-commerce has increasingly become the norm. 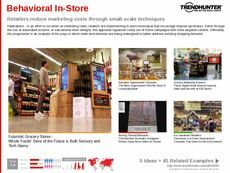 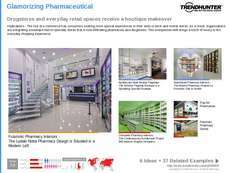 Use our crowdsourced research to gain an all new understanding of what the traditional in-store retail experience can be for your customers. 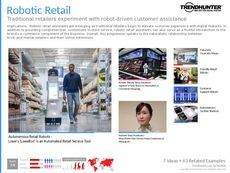 Retail professionals across multiple industries like fashion, technology, household appliances and cosmetics will benefit from the fresh perspective offered by this report. 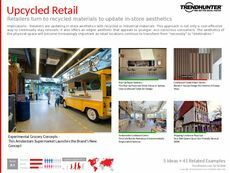 The Brick-and-Mortar Trend Report is a detailed learning experience about the best practices and innovative approaches that are rethinking the retail experience.